LA lUNA MORA…Guaro. Price 17€. A very popular Annual Event. 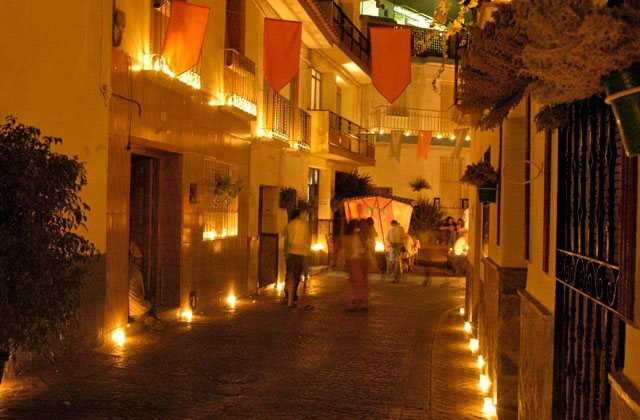 Themed around the Moorish, Jewish and Christian Traditions and history which have moulded the Andalucia, we know today. 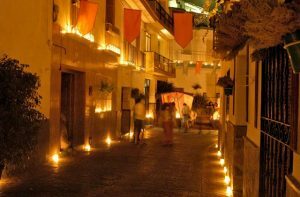 An evening event where the town is lit by approx 25000 candles, creating a wonderful atmosphere. Through out the festival there is a Moorish Style Souk Street Market, selling all kinds of specialities from herbs, soaps, jewelry, lamps and more. Food Trucks selling mouth watering food. Street entertainment and more. Local Bars and Restaurants offer drinks and local cuisine at very reasonable prices.